On-demand laundry service platform Flashdoor has raised an undisclosed amount in angel funding led by former Flipkart executive Sujeet Kumar. Flipkart chief business officer Ankit Nagori and Traxcn Labs also put money in the round, Ankit Agarwal, co-founder of Bangalore-based Flashdoor Internet Services Pvt Ltd, told Techcircle.in. He didn't disclose the amount raised. The company will use the funds to expand its core team and upgrade technology, he said. Kumar was head of Flipkart’s largest seller and its captive logistics business WS Retail Pvt Ltd, before quitting in May. 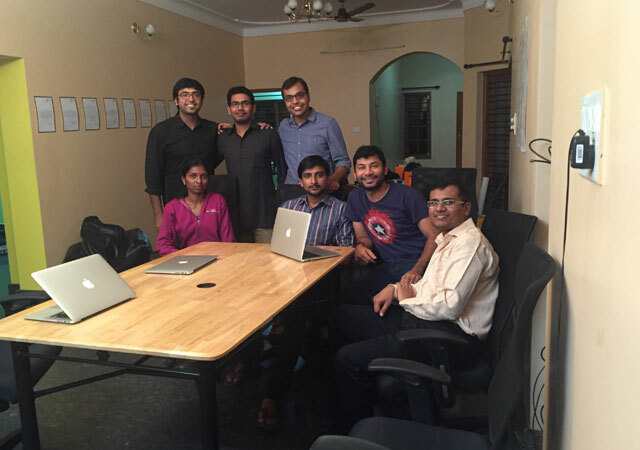 Flashdoor was founded by IIT Delhi graduates Agarwal and Himanshu Gupta in July this year. Agarwal was with Flipkart before starting Flashdoor while Gupta worked with companies including Amazon and Oracle. Flashdoor works on a curated marketplace model and runs its own logistics service to collect laundry from customers. It charges a fixed rate of Rs 79 per kg for wash and iron services from customers. The startup records 1,500 transactions a month and plans to take the count to 30,000 by March 2016 by when it also plans to enter two other metro cities. It employs 25 people, of which 12 are delivery executives while the remaining staff handles other functions. The company also plans to offer other home services such as appliance repairing but is focusing in laundry for the moment, said Agarwal. The size of India's laundry market is estimated at Rs 200,000 crore. Of this, 95 per cent falls in the unorganised category. Flashdoor joins PickMyLaundry, a mobile platform that facilitates booking and delivery of laundry services, in raising funds. PickMyLaundry had raised $100,000 from Green House Ventures, a startup accelerator launched by serial entrepreneur and Indian Angel Network member Vikram Upadhyaya.